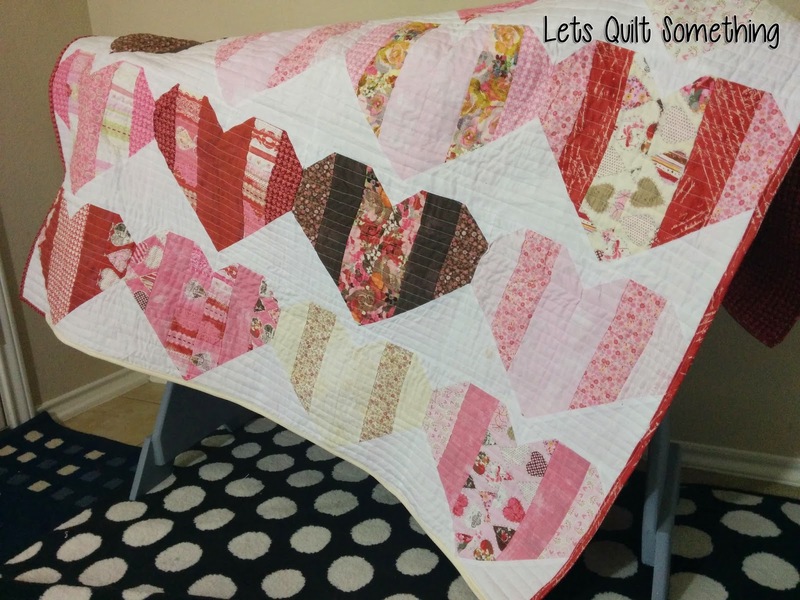 This quilt is perfect for your Valentine! 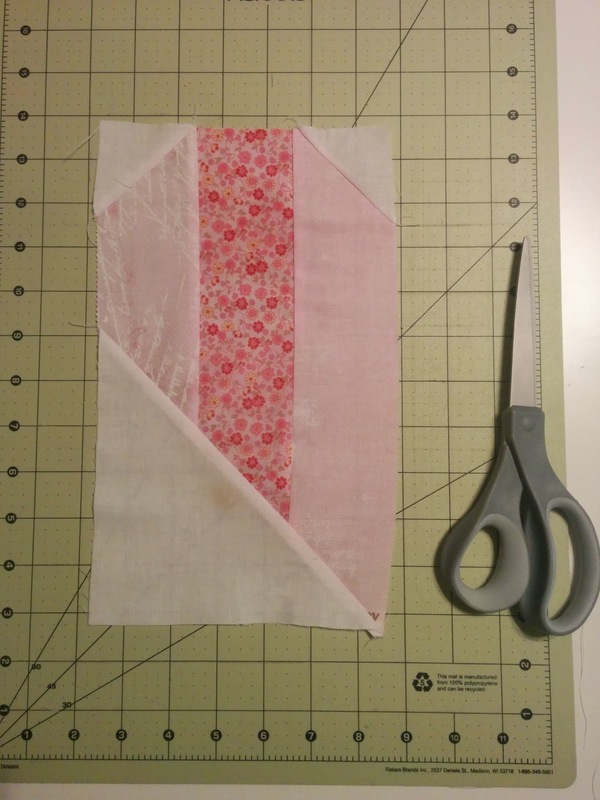 Normally I post Free Quilt Patterns on Mondays BUT I needed to share this one for you all as soon as I finished it so you will have time to make it. 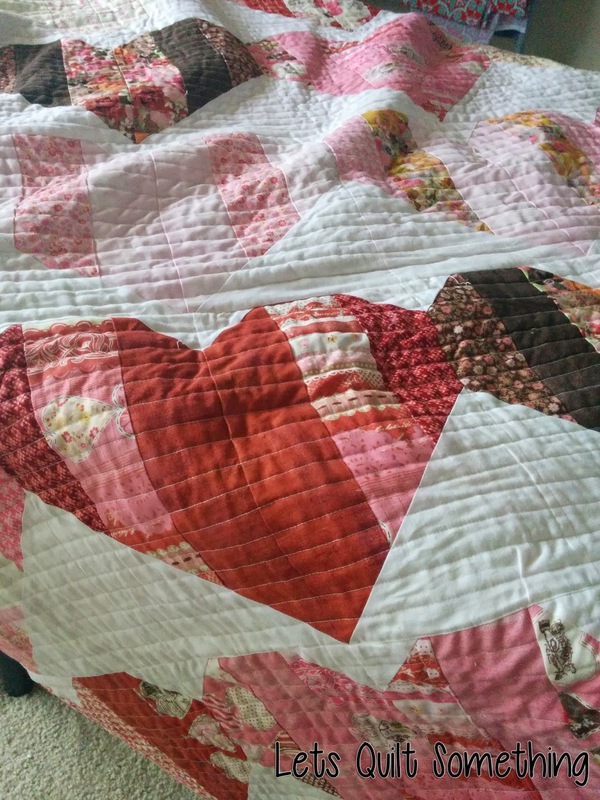 =) This quilt is very similar to our "For the Love of Chocoholic!" - Binding - You'll be using your left over strips and two more from your backing. This is a less detailed pattern since there is already one just alike if you are stuck on a step you can go to this pattern here. 1. 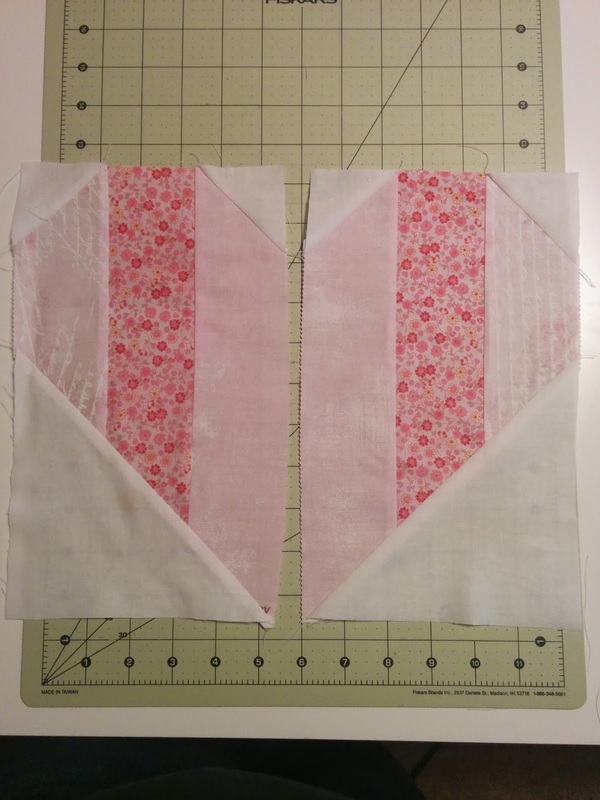 If you have a 40 strip jelly roll remove two strips so you can use for binding later on. 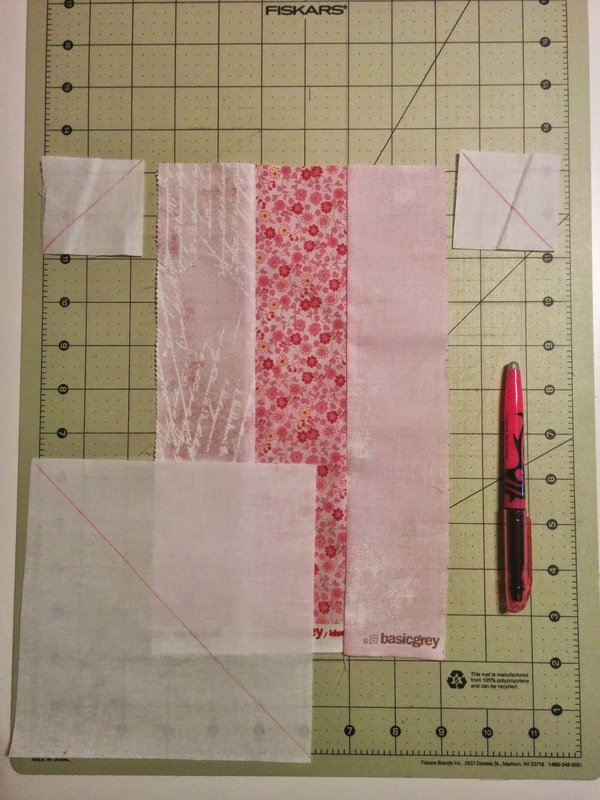 If you have a 42 strip jelly roll remove four strips so you can use for binding later on. 2. Assort the rest of your strips into groups with three strips per group. (I matched with like colors except for one group.) Then you will sew them together side by side. 3. 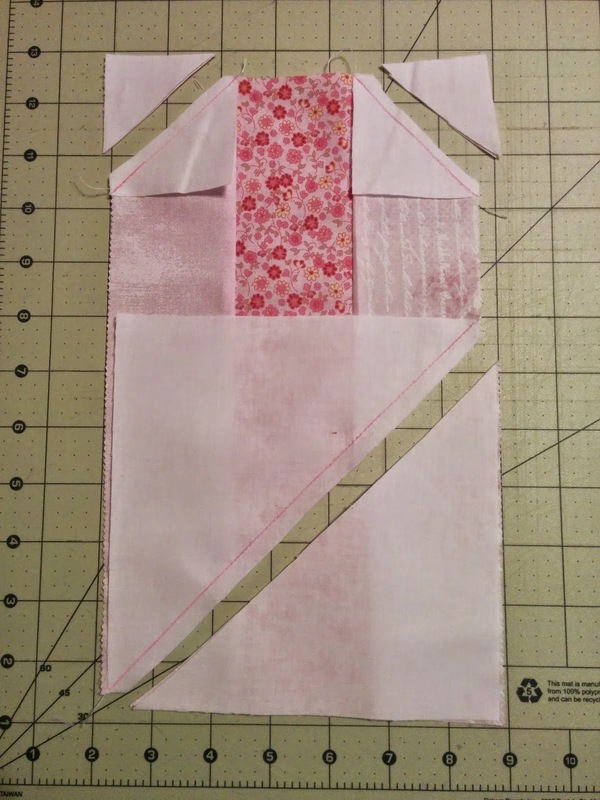 Now that you have a large strip that has 3 - 2 1/2" strips sewing together you are going to fold it in half long ways and then fold in half one more time. 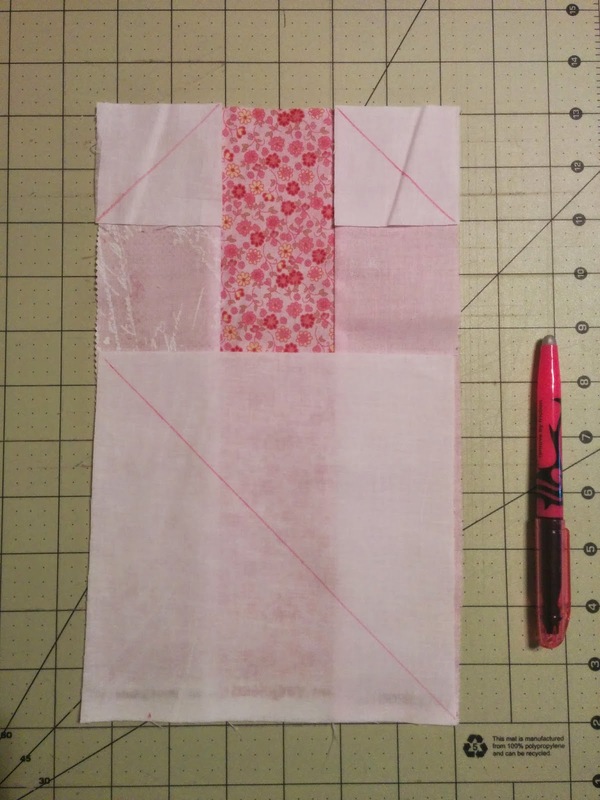 Trim off each end and do this step to all your groups that you formed in step 2. (Maker sure they are all the same size). 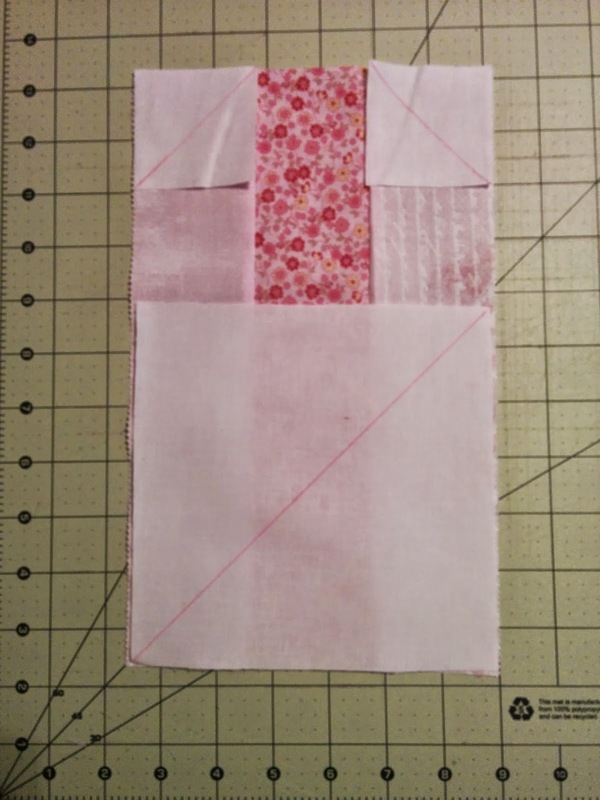 Also with each group that you sewed together in step 2, you will end up with 4 rectangles. This will be making 2 heart blocks from each group. 4. 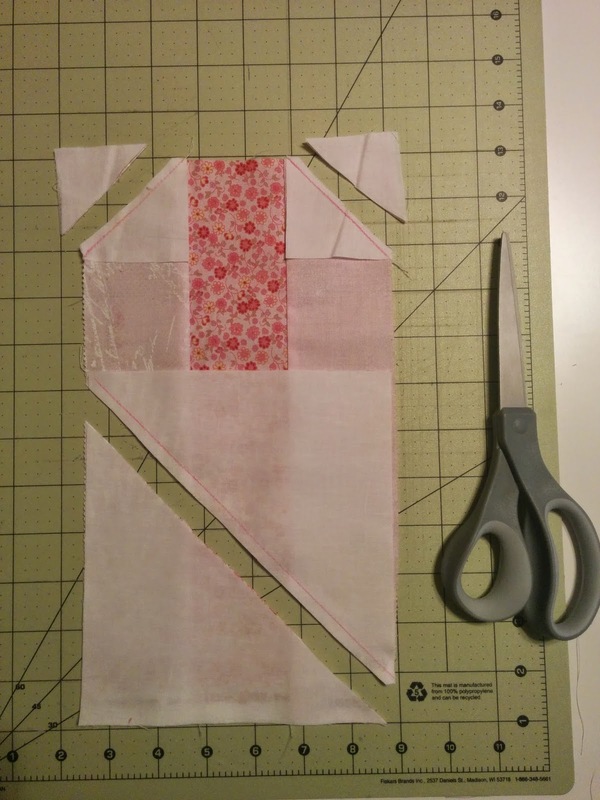 With your background fabric you will cut a square that is the width of the rectangles you just made in step 3. 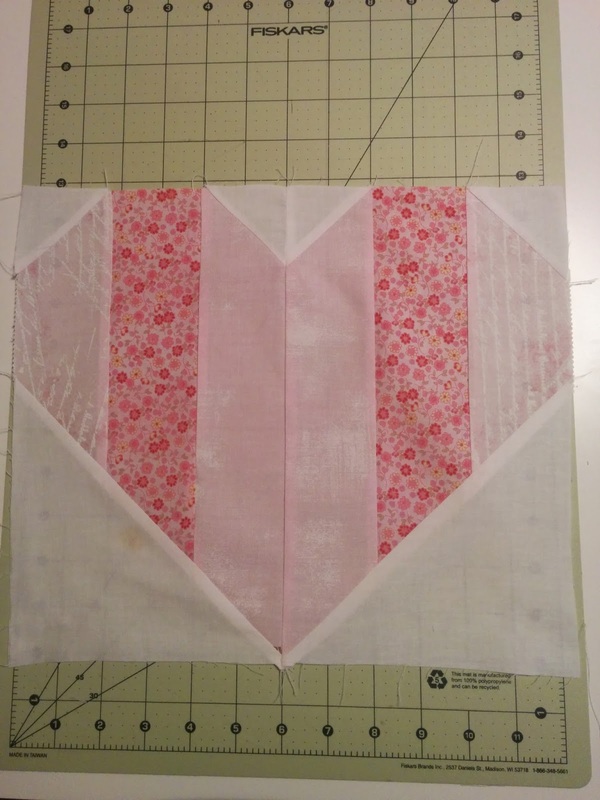 And then you will need to cut 2 1/4" squares for the top heart corners. Next follow the photos in piecing. Cut about 1/4" from the line. Repeat, except the bottom square diagonal is to the other side. Once you do this step to all your rectangles you will then have 20 blocks. I then used 4 blocks across and 5 blocks down. This will make a nice lap size quilt. And of course finish by quilting and binding. I saw this at Joanne's. I have so many "Fave Quilts" saved, I was surprised I already had it in "My Basket". Yay! love this! but I have a question: if you remove 2 strips from 40 (or 4 from 42), you are left with 38 strips. If you sew in sets of 3 strips, well... wouldn't you need only 36 strips or maybe 39 strips? Or am I missing something?